Actors Who Need To Stop Acting, Immediately!! The movie industry is full of actors with all different skill levels. While most actors blend in with the crowd and are deemed ‘mediocre’, there are some elites that stand out among the bunch. While we as viewers have the pleasure of watching the greats, we also have to deal with the actors we dislike. So without further ado, here are the actors that I personally want out of movies. First up on my list is an actor by the name of Kevin James. One of the stars of the “Grown Ups” series and lead of the “Paul Blart:Mall Cop” series, James is the reincarnation of Chris Farley that no one wanted. With all his jokes centered around his weight, or slapstick comedy, it gets old, fast. Usually paired with Adam Sandler, who is equally as bad, James provides virtually no new content with the movies he is in. While at least Sandler can rely on his success in drama roles to fall back on, James has nothing except his usual roles. While this summer’s “Pixels” looks like it could be a step in the right direction for James, I predict it will be the same old nonsense. 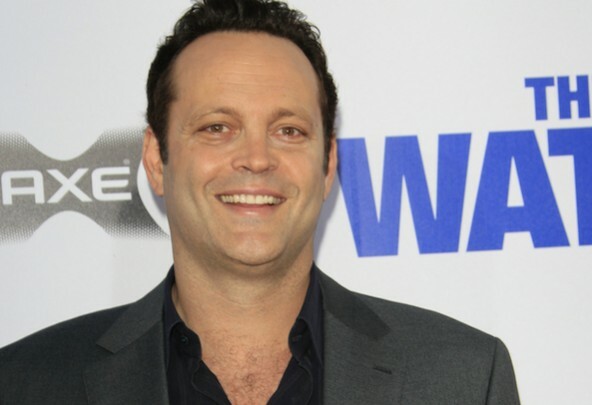 Next up on my list is Vince Vaughn. Vaughn is one of those actors that brings absolutely nothing unique to the table. He’s not the best actor to begin with, and has no specific genre of films he specializes in. Most of Vaughn’s performances are in generally smaller, not well marketed pile of junk movies. Without a hit since 2005’s “Wedding Crashers”, this pattern of bad movies has no end in sight. Jim Carrey is a perfect example of an actor hitting rock bottom. Now hear me out on this one, I don’t want Carrey to stop acting for good, I just think he needs to take a few years off. Now, if he is making money of course he won’t take a break, but for the sake of his legacy, he needs to. Without really having a majority liked movie since 2008’s “Horton hears a Who!”, and even then he was only a voice actor. Unlike the other people on this list, I don’t dislike Carrey. I am a big fan of his days on In Living Color, and guest spot SNL skits and think he has a great comedic acting ability, he just needs to choose his roles better. Owen Wilson. Okay seriously, what does this guy even do? He can’t carry a film as the lead, he has no specific roles he shines in, and he hasn’t had a decent movie since “Marley & Me”. Enough said. Do you agree with my choices? Leave your comments down below.